According to the Washington Post, there were a record 6.6 million jobs available in the U.S. in March 2018. As a result, unemployment figures have also been hitting record lows. This is what’s called a ‘candidate’s market.’ That’s because applicants have all the trump cards in their hand: if they’re rejected from an open position, there are plenty more to fall back on. All that being said, it’s not the same story across America. The picture is rosier in some areas than others. In particular, the number of jobs available in some cities has skyrocketed. The Bureau of Labor Statistics (BLS) keeps tabs on the number of jobs made available each year, and there are some that might surprise you. Others, may not be so much of a shock. But aside from that, you also have to think of ‘liveability.’ There’s no point getting a job if it’s no fun living there as well. So, let’s get down to business. The first thing we’re going to take a look at is what makes a city good for jobs. It’s not just about whether there are open positions somewhere or not: some cities are much better for specific industries than others. 1 What Makes the Best Cities to Find a Job? 2.1 Is New York Good for Jobs? 2.1.1 Which Jobs are Available in New York? 2.1.2 Why Live in NYC? 3.1 Is Dallas Fort Worth Good for Jobs? 3.1.1 What Jobs are Available in Dallas Fort Worth? 3.1.2 Why Live in Dallas Fort Worth? 4.1 Is Houston Good for Jobs? 4.1.1 What Jobs are Available in Houston? 4.1.2 Why Live in Houston? 5.1 Is LA Good for Jobs? 5.1.1 What Jobs are Available in LA? 5.1.2 Why Live in LA? 6.1 Is Orlando Good for Jobs? 6.1.1 What Jobs are Available in Orlando? 6.1.2 Why Live in Orlando? 7.1 Is Denver Good for Jobs? 7.1.1 What Jobs are Available in Denver? 7.1.2 Why Live in Denver? 8.1 Is Seattle Good for Jobs? 8.1.1 What Jobs are Available in Seattle? 8.1.2 Why Live in Seattle? 9.1 Is Phoenix Good for Jobs? 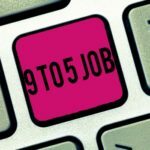 9.1.1 What Jobs are Available in Phoenix? 9.1.2 Why Live in Phoenix? 10.1 Is Boston Good for Jobs? 10.1.1 What Jobs are Available in Boston? 10.1.2 Why Live in Boston? 11.1 Is Washington DC Good for Jobs? 11.1.1 What Jobs are Available in Washington DC? 11.1.2 Why Live in Washington DC? 12 What Are Bad Cities for Jobs? What Makes the Best Cities to Find a Job? The most important are basic employment figures: is the local economy expanding or shrinking? BLS keeps records of how the economy is performing at the smallest scales: towns, cities, and metro areas. Certain areas have specific industries. LA and Seattle, for example, are well-known homes of the music industry. Houston is known for air and space (aeronautics). That’s why, in the list below, we’ve looked at which kinds of jobs are available in each area. Out list also looks briefly at what makes each area stand out, and makes it a nice place to live. There’s no point moving somewhere if you won’t feel like you fit in. That’s especially the case since there are so many places you could move to. What’s right for you depends significantly on your personality type. There are opportunities for introverted people and jobs for people with high energy. You need to decide where you full in the introvert-extrovert spectrum in order to be happy at work. New York City offers promises of jobs and a better life to people from across the globe. But it’s not just living on reputation. 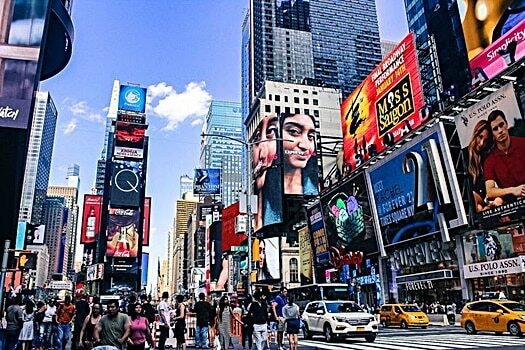 Each year NYC adds over a hundred thousand new jobs to its total of almost 10 million people living and working there. Is New York Good for Jobs? Nowhere in the U.S. creates more jobs each year than New York—it’s been one of the best cities for job growth for a long time, in actual figures of jobs, at least. When you combine NYC with the metro area of Newark and New Jersey, the area creates almost 150,000 new jobs each year (according to the BLS). As of July 2018, over 9,800,000 people are living and working in NYC. It’s also a great choice no matter what you choose to do with your career. In Manhattan, you have the headquarters of some of the biggest companies in the world. It’s a dream for office and finance work (think Wall Street). But aside from Manhattan, there are an incredible variety of places to work. Which Jobs are Available in New York? According to the Bureau of Labor Market Information, there are several industries thriving in NYC. Professional and Business Services. This includes finance and office work for multinationals and big firms. Essentially, these businesses sell services to other businesses. Educational Services. With more than 352,000 jobs in total, this is NYC’s second largest industry. This includes teaching and teaching assistant jobs, as well as administration. Healthcare enjoyed a rapid growth rate of 30% between 2009-2014. That’s driven by an aging population with more complex needs. There’s also strong demand predicted over the next decade: 42% growth between 2012 and 2022.
Leisure and Hospitality. This includes food services, bars, and clubs. Leisure and hospitality usually shrink during times of recession, but remained steady in NYC, and is set to grow steadily too. Unique industries in NYC include motion picture and sound recording. This industry grew by almost 50% in the five years up to 2014. Aside from that, though, NYC is probably the best city to find a job without a degree. There are so many entry-level positions that, with effort, you’ll get a job in no time if you’re planning to switch to a new career. NYC has plenty of positives going for it, as well as a fair few negatives too. Your experience will be based on exactly where you choose to live in the city. NYC is well known as a cultural melting pot. Somewhere around 36% of citizens in NYC are from other countries. Needless to say, there’s plenty to do there. Broadway is a famous example, and of course, there are plenty of bars and clubs too. NYC is a city of landmarks, and if that’s something you’d enjoy, there’s nowhere in the world to match it. If you like pizza, NC is the city for you. The main reason to choose somewhere other than New York is the cost. Generally speaking, the closer you live to the city, the more you’ll pay (rent, food costs, entertainment, etc.) This can make it hard to live on a basic wage unless you live a fair distance from the city. Our next recommendation is another larger city—but one that you might not have considered. If you’ve never been to the Dallas-Fort Worth metro area, you might be surprised at how dense it is. There are just shy of seven and a half million people packed into what residents call the ‘Metroplex’—the extended area that encompasses Dallas, Fort Worth and many neighboring counties. 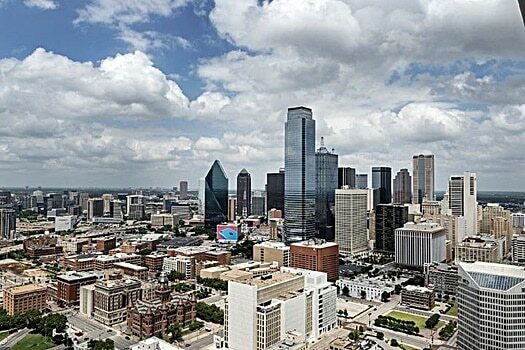 If you live Texas, Oklahoma or Arkansas, then Dallas-Fort Worth is an excellent choice. It’s the number one city in the U.S. regarding population growth, which you’d expect to put a dampener on financial growth too. After all, there aren’t necessarily going to be jobs for everyone. But the Metroplex has been growing job numbers by about 3% year on year for a long while and doesn’t seem to be slowing down. Is Dallas Fort Worth Good for Jobs? The Bureau of Labor Statistics recorded a 3.3% increase in jobs available in the area last year. That’s a lot anywhere in the world, but regarding raw numbers, that equates to 118,000 new jobs over the course of 12 months. That’s spread across many industries, too. The Dallas Federal Reserve Bank keeps tabs on who’s working where. According to their research, the most significant growth was in construction and mining. Over the year to date before July 2018, the industry expanded by 14.9%. Not only that, but unemployment dipped below 3.4% in July, way under the already-low national average. But the majority of growth was driven by a 3.7% increase in jobs at private businesses. Because private businesses make up 88% of the economy, in terms of raw numbers, that’s an incredible number of jobs. There was growth in education, leisure, manufacturing, and transport too. All in all, the picture’s looking rosy. What Jobs are Available in Dallas Fort Worth? The Metroplex is the financial hub of the state and the surrounding area in Arkansas and Oklahoma too. In terms of jobs in finance, it’s the best option in the South period. Almost anyone in professional and business services would be able to find work here. The private job sector is also incredibly strong here. That means you can find plenty of sales, waiting, call center and bar jobs. Basic jobs along those lines are relatively easy to find and get hired for here. Why Live in Dallas Fort Worth? Texas is a well-known friendly and welcoming state. DFW is no different. Not only that, but the spread-out nature of DFW means that you can choose to live either in the ‘Big City’ or way out in the sticks. Either way, you’re close enough to work. A large chunk of city residents are young professionals, whereas families live in the surrounding suburbs. That means it’s a great place to lay down roots. It’s also safer than many other big cities in the U.S. There is also no income tax to pay. Hold up, because we’re not done with Texas. Texas has seen some of the best growth in the U.S. in recent years, and both Dallas and Houston are no exception. Houston is the biggest city in Texas and the fourth biggest city in the U.S. The city itself is home to about 2.3 million residents. The metro area brings that total up to more than three million. But why should you move there? Is Houston Good for Jobs? First off, there’s growth that’s almost completely parallel to Dallas in Houston too. In percentage terms, Houston wins out at 3.4% compared to Dallas’ 3.3%. That’s a total of around 100,000 jobs in the year to July 2018. That’s in no small part down to the city’s skyline. 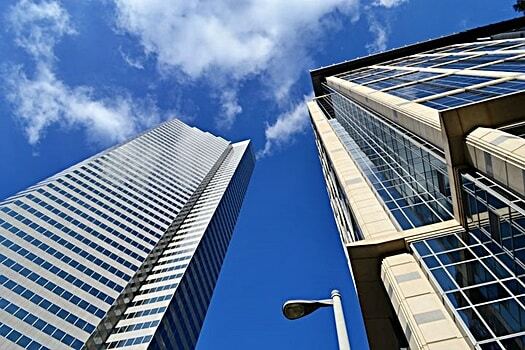 It’s home to the Williams Tower, JPMorgan Chase Tower and the Bank of America Center. Tenants include banks, insurance firms, and other big business magnates. Aside from that, tourism and other business services provide a steady stream of employment. What Jobs are Available in Houston? Houston is nicknamed Space City, and for a good reason. It’s home to the Johnson Space Center, NASA’s home of spaceflight training and research. There aren’t typically many astronaut jobs on offer, but jobs in research and administration are. Tourism is also a big draw to the space center, and to the city’s museum district. According to the BLS, trade, and transportation are the biggest employer in Houston. Utilities, business services, and government jobs are too. The biggest growth, though, is in construction. The industry expanded by a massive 11.9% in the year to July 2018. That’s a total of 25,000 more jobs than there were last year. If trends carry on, there will be another 100,000 by July 2019, too. Houston tends to go through ups and downs. It’s currently on the up, as it has been since the end of 2016. If you’d like to take advantage of a growing city, now’s the time. Houston is the home of NASA—nowhere else in the U.S. or across the globe can say the same. Aside from that, the city experiences long hot summers and mild winters. It’s also vibrant and fun, although not with the same nightlife as big East and West Coast cities. Again, there’s no income tax to pay, but the road system is a nightmare. 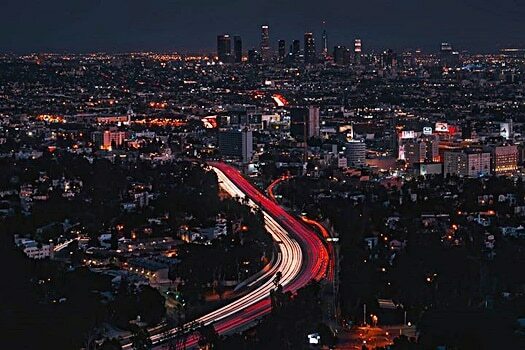 LA is the second biggest city in the U.S., just behind New York. It’s a uniquely diverse and exciting city, and as we’re about to find out, it’s also great for jobs. There’s plenty of work to go around in traditional role. On top of that, there are unique industries in LA and Southern California which make it a top pick for creatives. Let’s take a look at what earns it a place on our list. Is LA Good for Jobs? The LA metro area is easily the biggest on the West Coast. While it hasn’t seen growth at the rate of Dallas-Fort Worth or some of our other options on the list, there are still plenty of jobs to go around. For starters, according to the BLS, the area created almost 65,000 jobs last year. In terms of percentages, that’s a modest rise. What makes LA stand out is its unique and powerful local economy. In global terms, it’s one of the three most productive cities on the planet. The city generated just short of $1trillion in 2008. That means two things: more jobs, and better-paying jobs too. What Jobs are Available in LA? LA is celebrated for three key industries: professional and business services, education and health, and leisure and hospitality. These three industries are among the region’s biggest. Not just that, though, but all three are experiencing great growth. Each industry created around 30,000 jobs in the year leading up to August 2018. Aside from these there, LA also has unique opportunities for anybody searching for jobs in TV, cinema, music and the arts. That being said, LA lags behind in construction and maintenance, as well as farming and fishing. If you’re looking for jobs in these industries, other cities might be a better bet. The same stats above point to one reason why you should choose LA: the salary. Working in arts or media in LA nets an hourly wage of almost $40. The rest of the U.S. lags behind at a $28 average. That’s a difference of 41%. The story is similar across the board. And almost every industry pays at least a little more. There’s also the fantastic nightlife and the proximity to the rich and famous that you can’t find anywhere else. And if you don’t like to be tied down, then there’s plenty of seasonal work in LA too, picking fruit and nuts. The downside is that renting or buying a home is really expensive, especially in the more popular suburbs. Orlando: the theme park capital of the world. It’s not just for tourists and visitors, though. It’s also a great place to live and work and even start a family. Of course, Disney World and Disney generally provide a big chunk of the city’s income. However, it’s a city beyond that too. Is Orlando Good for Jobs? The population of Orlando is the smallest so far on our list. There are somewhere around 280,000 people living and working in the area today. The wider metro area includes Kissimmee and Sanford, which increases that total to well over a million. 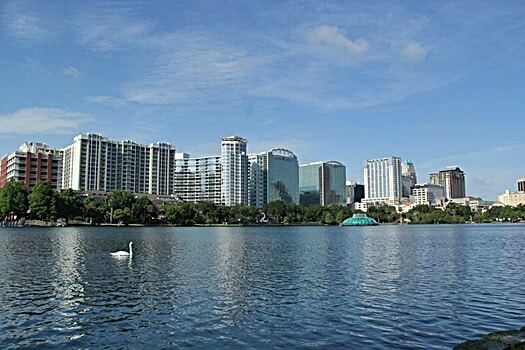 Even though it’s small, though, Orlando has seen considerable growth lately. In the year up to July 2018, the city enjoyed a growth rate of 4.3%. That’s a total of 53,000 jobs. That’s a very healthy number. What Jobs are Available in Orlando? As you might be able to guess, a significant chunk of jobs in Orlando is in leisure and hospitality. 270,000 to be precise, as of June 2018. BLS statistics show that Orlando’s growth rate wasn’t just driven by tourism, though. There were 4% rises in education and health, professional and business services and financial services too. There was a massive leap in manufacturing and construction too, at 8.1% and 6.9% respectively. These attractions play a massive role in Orlando’s growth. Disney World and Universal Orlando alone employee thousands of locals. Aside from that, you can make a healthy living working in or running a hotel, or even an Airbnb. Aside from that, catering to tourists funds most jobs in leisure here. Orlando is home to Disney. If you like the idea of living near Disney World 24/7, 365 days a year, then Orlando’s for you. That might seem tiring to some, but the city isn’t solely a tourist trap. There’s more to the nightlife and leisure than meets the eye, with plenty of bars and clubs dotted around town. It’s also relatively small, compared to bigger East Coast cities like NYC. Denver is another relatively small city, clocking in at around 700,000 residents. But the city’s location and status as easily the biggest city in Colorado make it a regional hub. Not only that, but the unique landscape of the city and consistent growth in employment make it an attractive entrant on our list. Is Denver Good for Jobs? The Denver-Aurora metro area is big enough to sustain one and a half million jobs. The fact that it’s Colorado’s biggest city, and one of the biggest cities in the Midwest generally, give it a powerful economic boost. According to the BLS, the area generated just shy of 50,000 jobs in the year before June 2018. The area around Denver has been absorbed by the city. Today, Denver and its suburbs form a large and continuous metro area. Alongside the good availability of regular jobs, the city also has many unique industries too. What Jobs are Available in Denver? Denver also ranks above the national average for sales and related fields. 11.8% of residents are employed in sales, compared to 10.4% nationally. They’re also paid 18% more, at $23 compared to $19.50. Similar stats apply to computer/mathematical occupations, business and finance, and construction. Denver is a great place for jobs you need a degree for. Denver has a particular feel to it that you won’t find anywhere else. 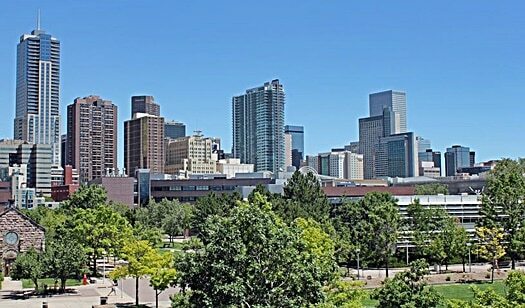 Metro Denver state that the city is among the fittest in the U.S., and has the lowest rate of obesity. That’s most likely down to the beautiful mountainous surroundings. The cost of living is cheap in Denver too, which makes it easy to live a balanced lifestyle. Altogether, Colorado is probably the best state for jobs and cost of living. The Seattle-Tacoma-Bellevue metro area is among the country’s largest, clocking in at just north of 2 million residents. Seattle’s weather and music scene have given it a global reputation, not to mention that it’s the home of Starbucks. It’s also the home of many other international giants, which means that it punches above its weight in terms of economic impact. That’s reflected in the 3.8% growth in jobs recorded there by the BLS. Is Seattle Good for Jobs? Each of these businesses is on the Fortune 500. Each generates billions or tens of billions of dollars per year, too. That adds up to an awful lot of employees, sourced directly from Seattle. Boeing also has a facility just 25 miles north of the city proper. All of this is to say that, yes, Seattle is good for jobs. What Jobs are Available in Seattle? As you might imagine, there are plenty of office jobs available in Seattle. If you want to work in finance, marketing, sales or management for a Fortune 500 company, then there’s nowhere quite like it. If you’re thinking of climbing the ladder at a big company, Seattle might be your best bet because of the sheer amount of competition in places like LA and NYC. Seattle is also a regional center for performing arts. It’s well-known for being the home of many a famous band, Nirvana being an excellent example. It’s an excellent place to break into the music industry, whether as a performer or as a technician. 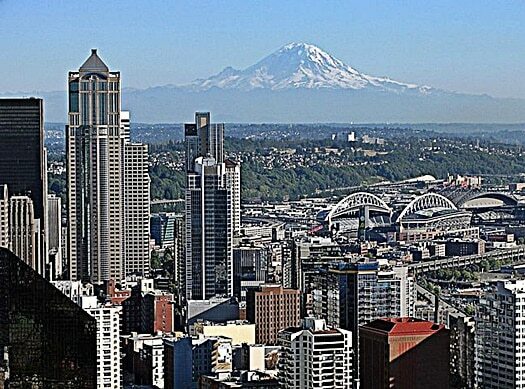 Aside from specialist positions, Seattle is also famous for coffee and is packed with coffee houses. Waiting jobs, bar jobs, and barista jobs are consequently common here. Seattle is a regional hub for the whole North West. So not only is it great for jobs, but it’s also a city of culture. There’s plenty to do and to see, just like in bigger cities like NYC or LA. The difference, though, is that Seattle feels like a different culture: a world apart. It’s more ‘artisan’ and homely than its West Coast sister LA. Onto specifics, if you’re into performing arts and music, it’s second only to LA. The most significant difference is in size since Seattle is a lot smaller. It also has an entirely different feel: LA is more stressful, although there are more opportunities there. Home rental costs are notoriously high. Phoenix is the capital of Arizona and is by far the largest city in the state. In fact, it’s twice the size of the nearest competitor Tucson. Historically, Phoenix has been an agricultural hub, famous for its “Five C’s”: cotton, cattle, citrus, climate, and copper. Today, the city is far more than just a farming outpost. Steady population growth of 4% between 1960 through the 2000’s ensured that Phoenix became one of the biggest metro areas in the U.S. today. Is Phoenix Good for Jobs? Phoenix consistently posts figures of 3 to 4% growth in employment figures, and last year was no exception. The BLS state that Phoenix added 61,000 jobs to its local economy in the year to July 2018. The biggest proportion of these jobs was in construction, which grew by 11.3%, or around 13,000 jobs. What Jobs are Available in Phoenix? 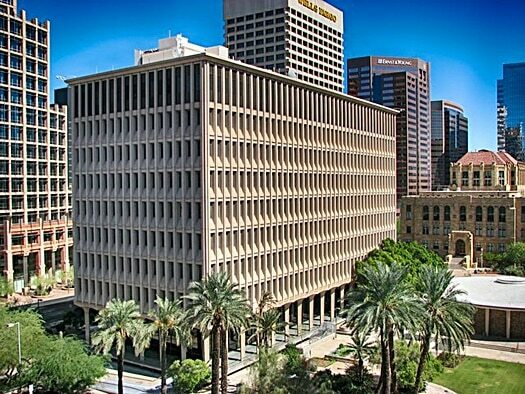 The Arizona Commerce Authority has been promoting the state to bolster their continued growth, and Phoenix is the jewel in their crown. They state that Arizona is home to aerospace and defense, technology and manufacturing industry leaders. They offer engineering and administration jobs at their facility near the city. Banner Health. A healthcare industry leader, banner employ almost 10,000 people in Phoenix alone. St Joseph’s Hospital, Mayo Clinic, VA Medical Center and Maricopa are other big healthcare players in the city. Financial institutions like Amex, Bank of America, JP Morgan Chase and USAA all employ thousands in the city. Aside from your typical big city jobs, there are plenty of positions available in a wide variety of industries. Examples from telecoms, business services, logistics, media, and hospitality round out the top 50 employers in the area. The cost of living in Phoenix is considerably lower than in many of the other cities listed here. That’s matched by slightly lower wages than usual, too, but the savings you’re making are significant enough to make up for it. Aside from that, Phoenix gets more sun than any other major city on earth. So, if you like sunbathing, it’s the place for you! Back to the East Coast, you can’t get much further East than Boston. Boston is easily one of the oldest cities in the continental United States. 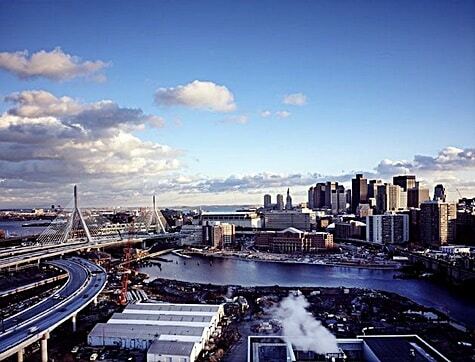 Boston was founded way back in 1630, long before the United States was even independent. Boston is less centrally crucial than it was during the colonial era, but it’s still an excellent place to search for work and a hub for the North East past NYC. Is Boston Good for Jobs? Boston is a built-up, liveable city of 700,000. Everything seems more compact than in other cities, and people often walk to work. That doesn’t mean it’s a small-time city, though. According to the Boston Planning & Development Agency, Boston’s economy grew by 3.6% between 2014 and 2015. While the rate might fall in the next few years, Boston’s economy has a habit of exceeding expectations. Boston is also a regional hub, which means that Massachusetts employers and workers flock to the city. The same research above shows that a total of 18.5% of Boston’s workforce work in health care and social assistance, closely followed by professional scientific and technical services. These two industries alone employee just less than a third of the city’s workers. What Jobs are Available in Boston? The workforce in Massachusetts generally has been expanding at record levels. It doesn’t show any signs of slowing down, either. All in all, it’s a great time to move to Boston. Boston is a city rich in history—it was the birthplace of the War of Independence, and was the largest town and the city in the U.S. until the mid-1800’s. It’s also home to two of the world’s best universities in Harvard and MIT. The biggest downside to Boston is that while the standard of living is very high, so too is the cost of living. It’s best to move here if you have a higher salary than most. There are better opportunities elsewhere for lower-paid work or jobs that people avoid that pay well. Last but not least, we have the capital itself. Washington DC is about the same size as Boston and is just as historically significant. Of course, it’s also significant today, too, as the seat of the federal government. The city is dotted with internationally recognized landmarks: there’s the White House, of course, there’s the Capitol, the Washington Monument, the Lincoln Memorial and more. These landmarks mean an influx of tourists, which always means jobs and money. But aside from that, DC’s economy is big enough that it supports millions of jobs. Let’s take a look at what sets it apart. Is Washington DC Good for Jobs? The Washington DC metro area takes in both Arlington and Alexandria and a sizable chunk of Virginia, Maryland and West Virginia too. All told, it supports a population of more than 6 million people. That’s why DC is so much more than just the seat of government: it’s a thriving metro area in its own right, too. Over the last year, they added 77,000 jobs to their local economy, a rise of 2.3%. Historically, Washington DC has seen some of the worst unemployment figures in the U.S. It peaked at 6.9% in 2010. It hit the news lately that unemployment figures were lower in 337 of the 388 metro areas monitored by the Bureau of Labor Statistics. However, the number of jobs is growing, and unemployment is down to 3.8% in 2018. That’s much better than before, and it’s down to the thousands of jobs added to the economy year on year. What Jobs are Available in Washington DC? Needless to say, there are plenty of government jobs available in Washington DC. According to the Department of Employment Services for DC, almost 250,000 residents of the city itself are employed in government jobs. Almost 200,000 of those are federal employees, and 50,000 work for the state. That compares to 550,000 in the private sector in total. That’s a significant proportion, and far more than you would find anywhere else in the U.S. So if you’re looking for a government job, this is the place. Regarding the private industry, the majority of jobs are in business services and education. They’re relatively small leisure, and hospitality industry set up to cater to tourists. Why Live in Washington DC? 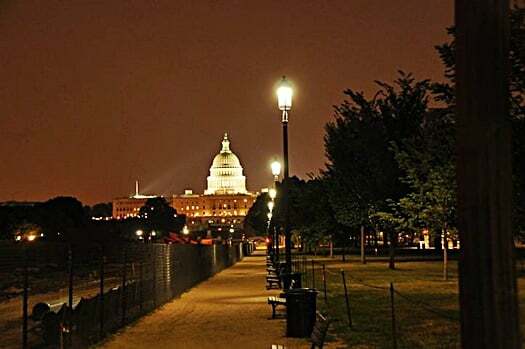 DC is far and away the best place in the country to get a federal government job. The area does have a high cost of living, but the unique opportunities in government on offer here can more than compensate for that. Aside from that, DC is an underrated place to live: it’s home to some of the best-known landmarks, the city has a solid metro system, plenty of museums and historical buildings besides. What Are Bad Cities for Jobs? There are many more great cities out there for jobs. Midland, TX is a great example: it’s still relatively small, but they’ve had about 10% job growth year on year for a while now. There are loads to choose from, but you have to be careful: what about the cities which are bad for jobs? There are quite a few: let’s take a look at some. Bloomington, Indiana. The number of jobs available there shrank by 6% between 2017 and 2018. That’s over 4000 jobs lost. It’s definitely not the best city for work in the USA. Ocean City, NJ. The small coastal area around Ocean City is a tourist trap nicknamed America’s Greatest Family Resort. Unfortunately, the area’s economy is shrinking, and they lost 2.9% of their jobs last year. Salisbury, MD-DE. Salisbury only has a population of about 30,000 as it is, but it has some of the worst job losses in the country. The combined metro area of Salisbury and surrounding towns have lost 2.9% of their jobs between 2017 and 2018. Louisville, KY-IN. The Louisville metro area is big, but it’s also a slow-grower. They only added 5,000 jobs last year, despite the metro area having 670,000 already in work. Baltimore, MD. The story is similar here in Baltimore: there were only 16,000 new jobs, despite a working population of almost one and a half million. The best thing for you to do now is doing a little research. If you had a particular city in mind, search for some stats online on their job growth. What you find might surprise you. Alternatively, pick one from our list above, and you can’t go wrong.